This 99% natural, soap-free liquid cleanser turns into a generous, airy foam for gentle, effective cleansing. A natural blend of Grape Extracts, Sage and Chamomile effectively cleanses and removes makeup and impurities while soothing skin. The improved formula is now more natural, more effective and gentler on the skin. Leaves skin cleansed, radiant and refreshed. Formula is dermatologist tested and hypoallergenic. Apply morning and evening onto damp skin. Rinse with water. Do not shake. This is an excellent gentle cleanser for my sensitive skin. My husband also uses it. Excellent! Need very little product , goes along way. I have used many products in the past, mostly with big prices, but I have been using this products for 2 years now and have no intention to try anything else. This is my absolute favorite! It cleans my skin perfectly and at the same does not cause dryness. I do have dry skin and after I wash it with this cleanser, it never makes me want to put a ton of moisturizer on it. 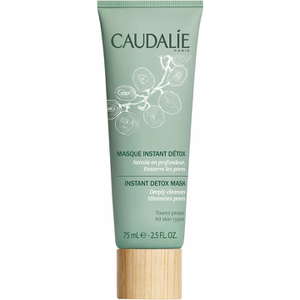 It keeps the skin very balanced and does not deprive it from its natural moisture. Also it has a very pleasant and gentle sent. I highly recommend this product and can't imagine anyone that would not like it.